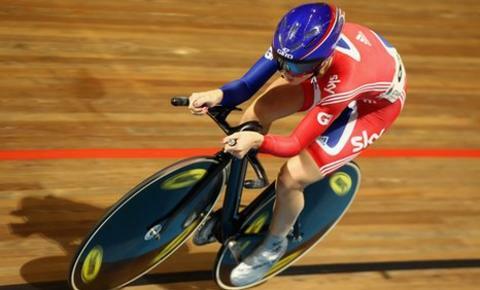 Great Britain's Laura Trott won a second medal of the week by taking bronze in the omnium at the Track World Cup in Colombia. The 19-year-old finished third in the individual pursuit and fifth in the scratch race before winning the time trial to give her a score of 29 points. American Sarah Hammer took gold ahead of Canada's Tara Whitten, the overnight leader in the two-day event in Cali. Trott won a gold medal in the team pursuit earlier in the week. She entered the second day of the omnium, which features six disciplines, in fifth place after finishing fifth in the flying lap, fourth in the points race and 11th in the elimination race on day one. Her time trial success left her just one point adrift of Whitten in the final standings, but Hammer was a comfortable winner on 14 points after recording two wins, two runners-up finishes and two fourth places. Trott, Wendy Houvenaghel and Paralympian Sarah Storey won gold in the team pursuit on Friday and on Saturday.